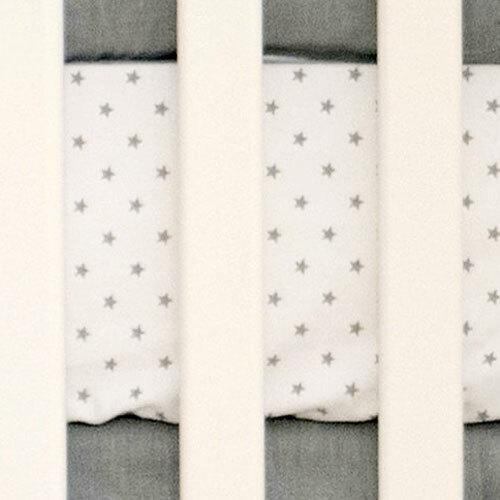 Soft and elegant, this linen crib bedding will feel at home in a baby boy or girl's sophisticated nursery. 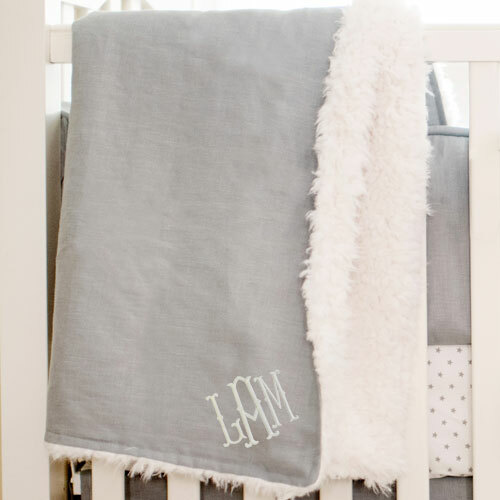 Our Washed Linen Baby Bedding Collection in Gray is simple, but will create a nursery that is both neutral and chic. 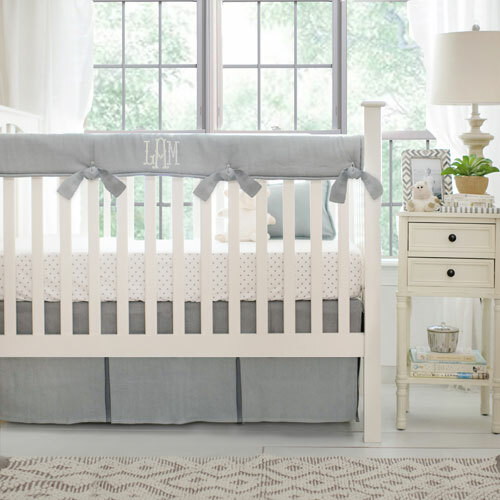 This linen crib bedding collection features a tailored linen crib skirt with pleats, a soft faux fur crib blanket and an optional crib bumper with wide linen ties. Select from a gray star or polka dot cotton crib sheet for your set, or choose both sheets, so you will always have a back up. 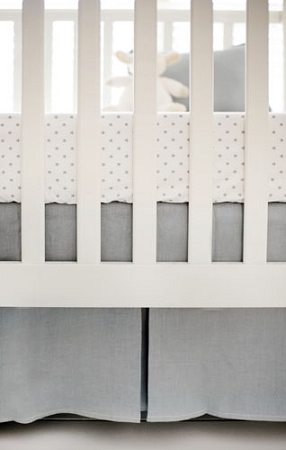 • Crib Bumper is slip covered for easy cleaning. 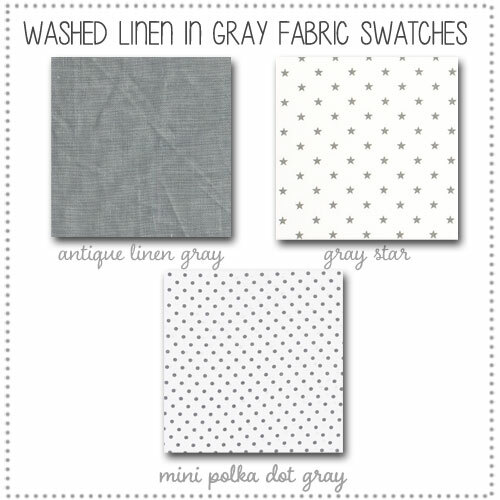 • Linen Crib Skirt drop length is 17". 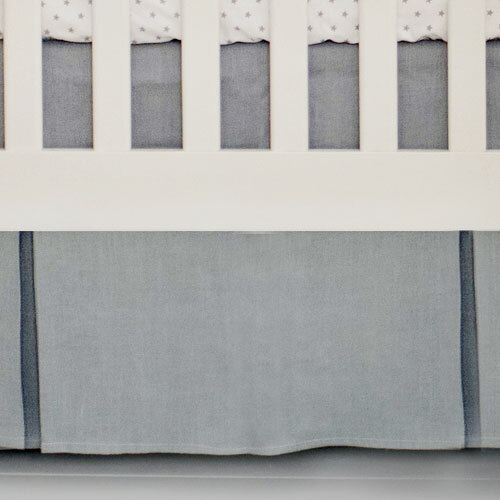 • Crib Blanket is 36" by 36". 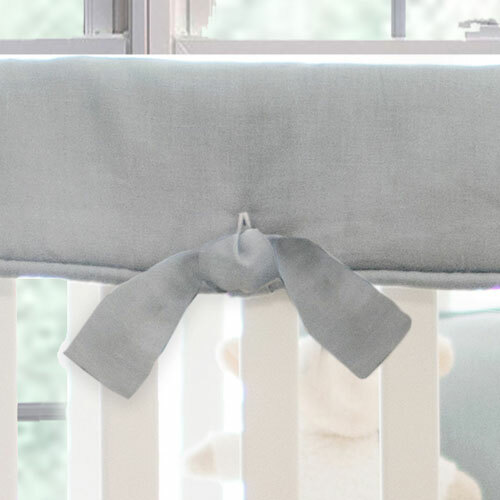 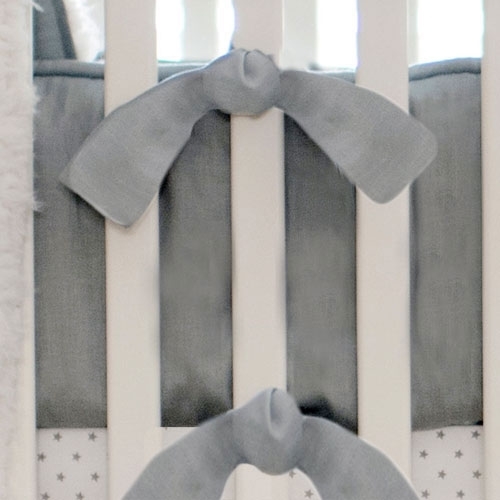 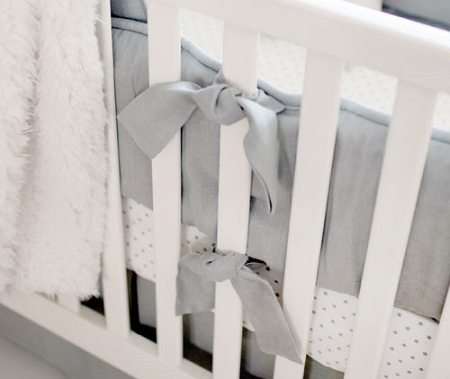 If you prefer a crib rail cover instead of a bumper, see our Washed Linen Crib Rail Cover Collection in Gray. 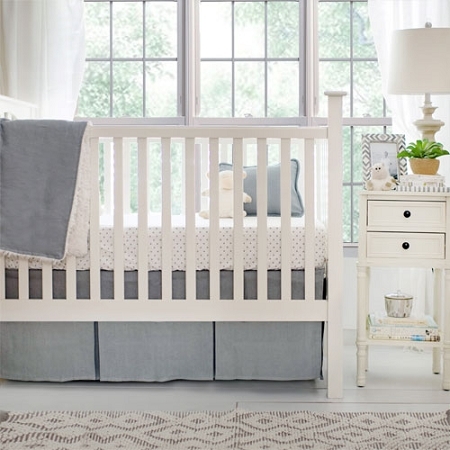 Coordinate your linen crib bedding with accessories shown below.